One of the more interesting places to visit within the state of Arkansas is the Mount Magazine State Park. 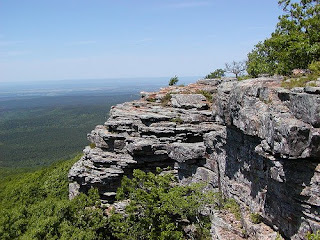 Located in the beautiful Ozark National Forest, Mount Magazine is Arkansas' highest mountain. Last April my wife and I decided it was time for a mini-vacation. 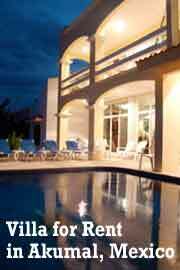 This was not unusual as we continuously indulged ourselves with mini-vacations all around the United States. For this escape we decided that we would like to visit the state of Arkansas since the last time we had been there was in 1989 and that was merely passing through. When we arrived in the state our first choice of sights to see was at the beautiful Magazine State park. Every thing about this location and the trip was simply beautiful. The ride was extremely pleasant, the weather held out and proved to be a blessing, and the people were exceptionally friendly and helpful. We decided that instead of staying in the park's first class lodge we would simply pitch our tent and enjoy the abundance sights and sounds of the wild open air. The tent tended to flap in the howling April winds but fortunately it remained firmly in place. The following day the weather was still a bit windy and rained on and off however it soon cleared away and we decided to take a short hike into the North Rim Trail. Since we had totally lost track of time until it was too late we finally realized we had ventured onto a two mile trail. During our stroll back to camp we chanced upon some of the areas wildlife. We viewed several lizards crossing our path as well as three snakes that slowly watched us as we past by them. Upon noticing the snakes my wife let out a screech and yelled. "My God there are three snakes!" The snakes paid no attention to her but went right on sunning themselves on the moss-covered rock where they laid. They were a beautiful green shade and from what I would guess they were harmless Green Snakes. Further along the pathway we encountered numerous native violets and an occasional bloodroot on each side of us. It was the attractiveness of the plant life that made our trip back to camp worthwhile as it revealed an abundance of wildflowers along the banks of the small gorgeous streams that passing slowly by us. We would occasionally stop and admire the many flowers which grew along the paths we were taking. It may have been a long venture but as long as we followed the signs with the red hiking man clearly on them we were well on our way back to camp. During this extended walk back to the camp we both visualized the inviting campfire with a Rib eye steak sizzling in the pan. All in all the entire trip was enjoyable and we look forward to another exciting visit to the park in the years to come. Sounds like a good day, beautiful picture. Been a good number of years hubby and I did much hiking. As I've gotten older, arthritis is more of an issue...though we did always enjoy ourselves on the trail and in our tent. What a great shot with the different hues in the water and rocks. Very nic. Great Pic! We just spent a week or so on the White River in Arkansas - the weather was perfect ~ so beautiful and peaceful!! that is a beautiful nature view you have there. thanks for sharing. i'll be backed sometimes to visit your site.